Navigation Path: Home›About› Supervision. Explained. Supervision. Explained. takes a closer look at European banking supervision and introduces some of the people and activities involved. Euro area banks are more resilient to financial shocks, the stress test led by the European Banking Authority shows. Learn more about the scenarios used in the test, what role the ECB plays and how the results will feed into supervisors’ decisions about individual banks. How is the Supervisory Board Chair chosen? A new Chair is appointed to the Supervisory Board every five years. The position is advertised publicly and any EU citizen with sound experience in banking and finance can apply. Find out who is involved in choosing the final candidate and what it takes to secure the position. As bank customers we need commercial banks to be healthy so that we have access to the financial services they provide. Banks also need to stay healthy to ensure the financial system remains stable. What are fintech banks and what impact will they have on financial services? The fintech sector is growing rapidly all around the globe. Find out what fintech is, what role fintech banks play, their potential impact on the banking sector and the implications for banking supervision. The ECB supports euro area banks in tackling bad loans, i.e. loans that have not been repaid for a certain amount of time or that are unlikely to be repaid. Find out why bad loans are a problem and what the ECB’s role is on this front. Banks, just like any other business, can fail. However, the important services they provide to the economy and the possibility that their failure will damage other parts of the economy mean that there are special rules regarding bank failures. What is the ECB sensitivity analysis of IRRBB? The ECB sensitivity analysis of interest rate risk in the banking book (IRRBB) will examine how hypothetical changes in the interest rate environment would affect banks. Find out more about this exercise and how it feeds into the broader supervisory process. 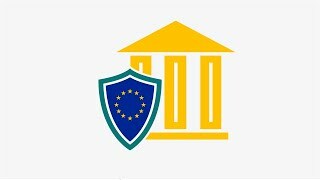 As part of our work to harmonise supervisory practices and to foster a sound and resilient banking system, the ECB is reviewing the internal models used by banks. Find out more about this project, also known as TRIM. Find out what it means for a bank to receive a precautionary recapitalisation and what part the ECB plays in the process. The ECB started supervising euro area banks on 4 November 2014. Find out more about the objectives and functions of ECB Banking Supervision. Loans are considered “non-performing” when there are indications that they are unlikely to be repaid or when more than 90 days have passed without the borrower paying the agreed instalments. Why are bad loans an issue and what is our role as a supervisor? The 2016 bank stress test results will be published on 29 July 2016 by the European Banking Authority. Find out what this year’s stress test entails and how it feeds into the broader supervisory process. In an increasingly globalised world, it is crucial that banks operating in more than one country are supervised as effectively as possible. Supervisory colleges play an important role in this regard. Supervisors regularly assess and measure the risks for each bank. This core activity is called the Supervisory Review and Evaluation Process, or SREP for short. 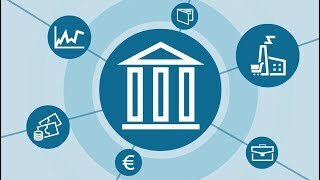 What is it about and what does it mean for banks? What are “high-priority less significant institutions”? As well as supervising the largest euro area banks, ECB supervisors take a closer look at smaller banks that are classified as “high priority”. What is fit and proper supervision? Supervisors assess whether board members of banks are “fit and proper” to do their jobs. In other words, we check their reputation and assess their knowledge, skills and experience to perform their duties. One of our tasks is to assess proposed acquisitions of “qualifying holdings” in a bank. The ECB takes such decisions as part of the common procedures that apply to all banks in the euro area. AnaCredit will be a new dataset with detailed information on individual bank loans in the euro area. The name stands for “analytical credit datasets”. Breach reports, or whistleblowing, are an important tool in the detection of misconduct by supervised banks or banking supervisors. Citizens who suspect breaches of relevant EU law act in the public interest when reporting those breaches to the ECB. Data are at the heart of banking supervision and a truly European approach to supervision can only be achieved with comparable information. This article describes the ECB’s harmonised approach to collecting data and looks at the role of statistics in day-to-day supervision. Jean-Paul Redouin, Chair of the Administrative Board of Review (ABoR), answers questions on its specific role in the new era of ECB Banking Supervision. With the adoption of the euro, Lithuania will join the Single Supervisory Mechanism on 1 January 2015. Ingrida Šimonytė, Lietuvos bankas’ Deputy Chairperson, will become a Member of the Supervisory Board. In a web-interview, she talks about the main features of Lithuania’s banking sector and the challenges for ECB Banking Supervision.